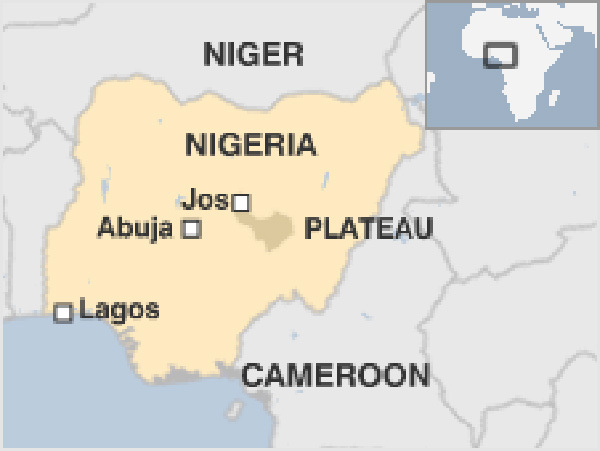 Jos, Nigeria (BBN)-Two bomb attacks – on a restaurant and a mosque – in the central Nigerian city of Jos have left at least 44 people dead, the authorities say. The blast at the restaurant was the result of a bomb that had been planted, whereas the mosque was attacked by a suicide bomber and that explosion was preceded by a gun attack. Our correspondent says that many believe that the mosque’s imam, who was preaching at the time, may have been the target, reports BBC. Sheikh Muhammad Sani Yahya Jingir, who survived the attack, has been preaching against Boko Haram since 2010. He has survived a previous assassination attempt at his home. Jos has seen several attacks blamed on Boko Haram, including an incident in February when at least 15 died and in December last year when more than 30 people died. On Friday, Nigeria’s President Muhammadu Buhari described the recent attacks as “inhuman and barbaric”. He said they were “the last desperate acts of fleeing agents of terrorism”. Boko Haram took control of a large area of north-eastern Nigeria last year and declared a caliphate – a state governed in accordance with Islamic law. However, Nigeria’s military, backed by troops from neighbouring countries, has recaptured most of the territory. President Buhari has called for an expanded regional force to be deployed more rapidly.